Who Is Responsible In A Motorcycle Accident? 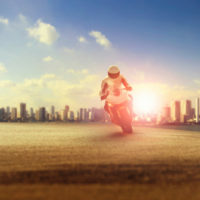 Riding a motorcycle is an inherently risky endeavor, and most bikers are well aware of the risks before getting behind the handlebars. That said, just because bikers know that their choice of transportation is not exactly the safest does not mean that injured bikers should not be able to recover compensation for damages sustained in motorcycle accidents. Yet, that is precisely the mindset under which insurance companies operate. If you were injured in a motorcycle accident in Miami, you have every right to file an accident claim. However, know that your road to recovery is apt to be a difficult and oftentimes frustrating one, as the liable party’s insurance company is bound to put up a fight. A Miami motorcycle accident lawyer can help you negotiate with said insurance company, gather evidence to support your claim, and present your case in an inarguable light. Motorcycles are subject to less visibility due to smaller size than passenger vehicles. Motorcycles are also more easily hidden by other objects, such as other cars. Road hazards, such as debris, wet pavement, or uneven road surfaces can more easily affect a motorcycle and cause a crash. Motorcyclists are not protected by a barrier of metal between the rider and the road, nor are motorcycles equipped with seatbelts or airbags. Helmets can help reduce the risk of injury or death in the case of an accident, but they are not foolproof. Vehicles with two wheels offer less stability than those with four wheels and can experience front wheel “wobble” at high speeds. The risk of an accident is increased if a motorcyclist is unskilled and has not obtained proper licensure. High risk behavior, such as speeding or fast-accelerating can increase the risk of an accident. It is not always easy to determine liability in a motorcycle accident case. Liability in motorcycle accidents is governed by the law of negligence. Drivers must practice care to avoid injuring any other driver, passenger, or pedestrian. Although a motorcyclist CAN BE at fault for an accident, that is often not the case. More often than not, it is the driver of the passenger vehicle that is determined to be negligent. In some cases, more than one driver is determined to be at fault for the accident, and the insurance company of the car or truck driver will bring up the negligence of the motorcyclist as a defense. In these instances, the deciding party–whether judge, jury, or insurance company–will refer to the theory of contributory negligence and assign a percentage of fault to each party. A negligence claim has four parts that must be proven in court. The first is that the person being sued had a responsibility to exercise care to avoid injuring someone. The second is that the defendant did not do what is required by law, meaning that the defendant did not exercise care. The third is that the plaintiff must have actually sustained some sort of injury as a result of the accident, which must be backed by medical records. The fourth is that the injuries sustained were caused by the defendant’s failure to exercise care. A motorcycle accident may also be caused by mechanical failures, which are generally the result of poor design or manufacturing. Problems in manufacturing are usually the result of parts that are defective or have been damaged in transport between the point of manufacturing and the place the vehicle is sold. Poor design is related to any design flaw that makes the vehicle unsafe, such as any design flaw that doesn’t account for the speeds at which the vehicle will be driven. If you intend to make a product liability claim, it may be wise to seek the assistance of a skilled Miami motorcycle accident attorney. If you were involved in a motorcycle accident, it is important to document everything you can remember about the accident. Document any details of the accident you remember, along with any possible witnesses, timing, road conditions, and weather. Keep any medical documents or bills related to the injuries sustained in the accident. Keep a personal record of photographs and notes. Finally, contact our Miami motorcycle accident lawyers at Spencer Morgan Law for sound legal advice and aggressive representation today.